Home / Music / Satan's Hotel? Although people who know me well likewise know I have a distinct preference for melodic hard rock – like those played by hair bands of the eighties and early nineties – I actually listened to a wider range of music when I was in my teens. Like many people my age, I grew up – of course – listening to Beatles music over the radio. When I entered my teen years, though, the Beatles had already disbanded; but there was a glut of choices, nonetheless. Among solo acts, there were the likes of Cat Stevens, James Taylor, Carole King and Elton John, to name but a few emerging names who would eventually become musical legends. Among bands, there were America, Chicago, KC & the Sunshine Band, Led Zepellin, the Commodores and many, many more. I listened to them all! It was free; it was over the radio! 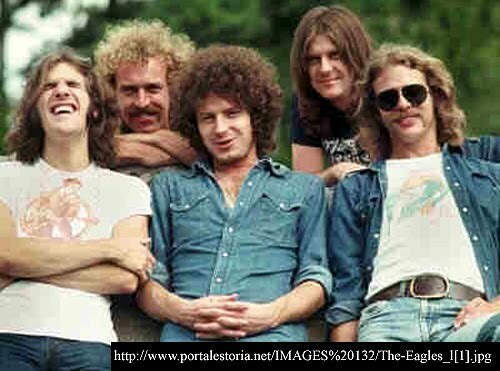 By the mid-seventies, I counted among my favorites the likes of Barry Manilow, Diana Ross, the Stylistics and a supremely gifted guitar-based country-rock band whose songs were easy to listen to: The Eagles. It was the single “Hotel California,” however, that proved to be a cut above the rest. It was tremendously popular! In fact – although there was no way to tell in the seventies – its popularity would transcend time. There are many even today who still know the song. 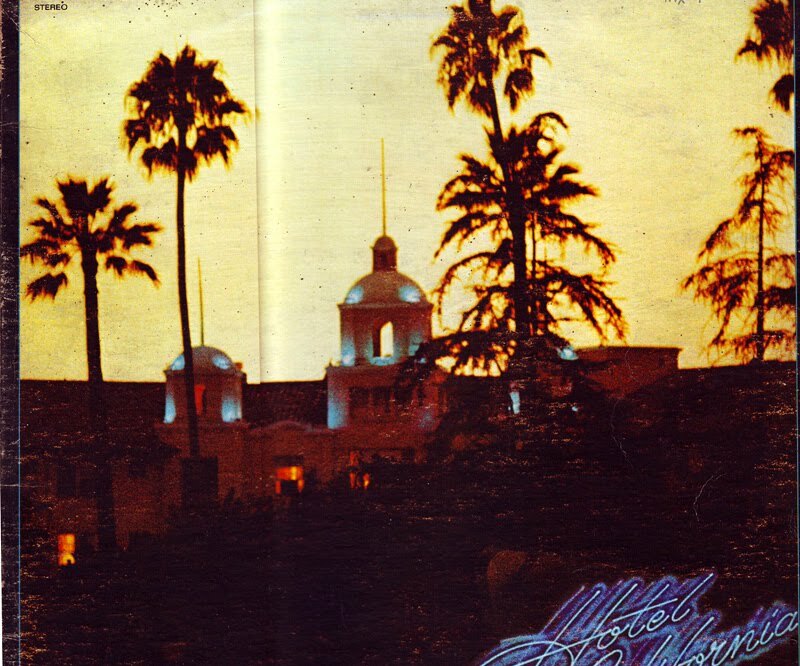 Ask anybody you know what song of The Eagles he or she is familiar with, and chances are he or she will say “Hotel California.” Moreover, it is not just the middle-aged who know the song; even kids are familiar with it. Curiously, the song sat at the summit of the Billboard Hot 100 Chart for a mere week in May 1977. Believe me; Billboard did not do the song any justice! Put things this way, just to show everyone how unbelievably popular the song was. 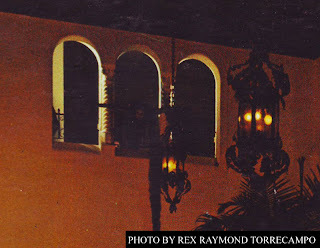 I had had trips to Manila – I was in college – when the jeepney I took to the bus stop had its radio playing “Hotel California.” The BLTBCo bus would have a radio as well, and through the course of the trip, it was not unusual to hear the DJ play the song two or three times. When I got off at Pasay Road, chances were the jeepney I took to where I boarded had the song on the radio as well! Did The Eagles just write a fantastically good song by sheer chance; or did they receive inspiration from somewhere? Rumors circulated in the seventies that there was more than met the eyes to the strange metaphors of the songs lyrics. Allegations were that phrases such as “you just can’t kill the beast” and “you can check out anytime you like but you can never leave” were actually references to satanic rituals. There’s more... A music magazine I read advised: look at the inside cover. The Eagles are shown at the hotel lobby with a lot of people. 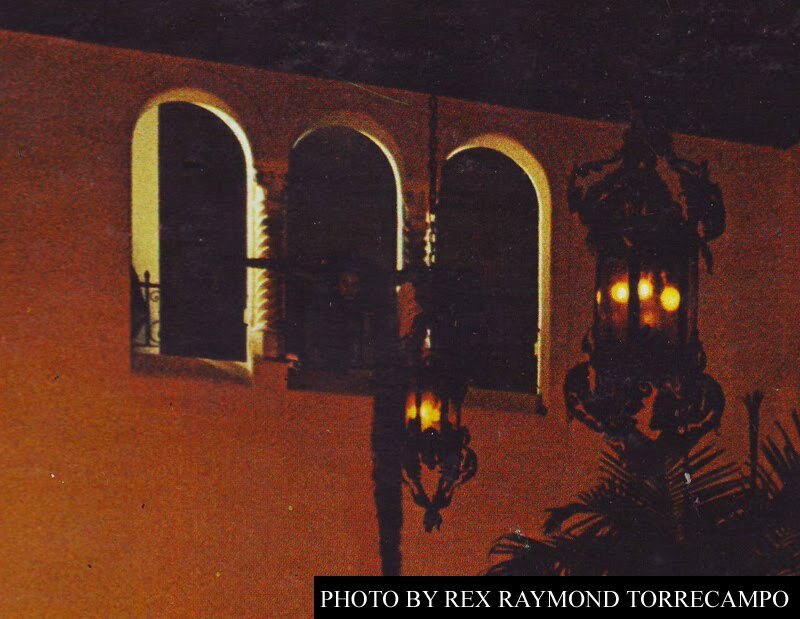 But at the second floor, almost imperceptible in the darkened window, there is the shadow of a man standing. I have looked at the cover many times. There is, indeed, a man standing! That man was supposed to be the high priest. Then, there was the little matter of the backward mask. To those of the CD and USB generation, this was a recording technique involving the insertion of messages that could only be audible if the record was forced to rotate backwards – i.e., counterclockwise – on the turntable. I wonder if the younger readers can even visualize what I just described. Religious groups were so disturbed by these rumors, and in California, groups organized protest rallies during which people destroyed their copies of the album. All these rumors, of course, were categorically denied by members of the band. These days, we are a bit more sophisticated in our outlook. We know the high priest to be just another crackpot who preferred an alternative to mainstream religion. The backward mask? Purely mechanical, a sound recording technician’s grand idea of how to pass time. Personally, I just think it’s a great song. I hardly ever listen to it these days from my mp3 collection. I have to admit, though, that few songs – if at all – ever became as exceedingly popular as this classic song that continues to ride the airwaves to this very day.